Fostered with a team of highly experienced professionals, we have been able to provide Leather business organizer. We are offering a wide range if Personal Organizer. These organizers are widely used in homes, offices, schools and many other places for organizing different personal items, taking important notes, etc. 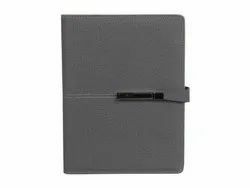 Our organizers are fitted with high quality note pads with pen holder and compartments for cards, etc. We are presenting this extremely stylish Personal Organizer, made from high quality raw material. The sleek design provides ample space to place your credit cards in one place and prevent them from scratching. You can put and pull your cards with an easy swipe motion in its brilliantly designed pockets. Our product cordovan leather organizer is a stylish and designer product available in a shade of dark brown. It can be used to keep credit cards, business cards and other small documents in stylish way. 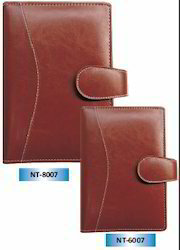 Size: 9" x 7½" x 1½"
.Personal organiser, with pen slot, card slot, with, A5pages etc. We are a most trusted name among the topmost companies in this business, involved in offering Premium Planner Organisers and Diary 2019. More space for Logo. Very useful for NEW YEAR GIFT and promotional Gift. We are one of leading service provider for personal organizer. We believe in serving our customer with high quality products. We are manufacturer of all kind of promotional genuine lather and fox lather products for marketing, promotional & corporate gifting purposes with branding embossing printing.